Do you know what chemicals you’re wearing when you reach for your perfume? Can you believe such unfriendly ingredients as ethanol, and petroleum carriers besides other undesirable fillers are typical in those high-priced perfumes? You can imagine how thrilled I was to discover The Cream Perfume Company because they take great pride in delivering quality French perfume without sacrificing your health, environment, or wallet. You’ll find no harmful ingredients here! This southern California company I got to review uses premium French made perfumes from Grasse, France, ( the perfume capitol of the world) and turns those natural perfume oils and extracts into a solid perfume or a perfumed body moisturizer with 100% healthy natural and organic ingredients. The Cream Perfume Company is also a Natural Products Association member and uses only ECOCERT certified organic essentials, absolutes and pure plant and fruit extracts. 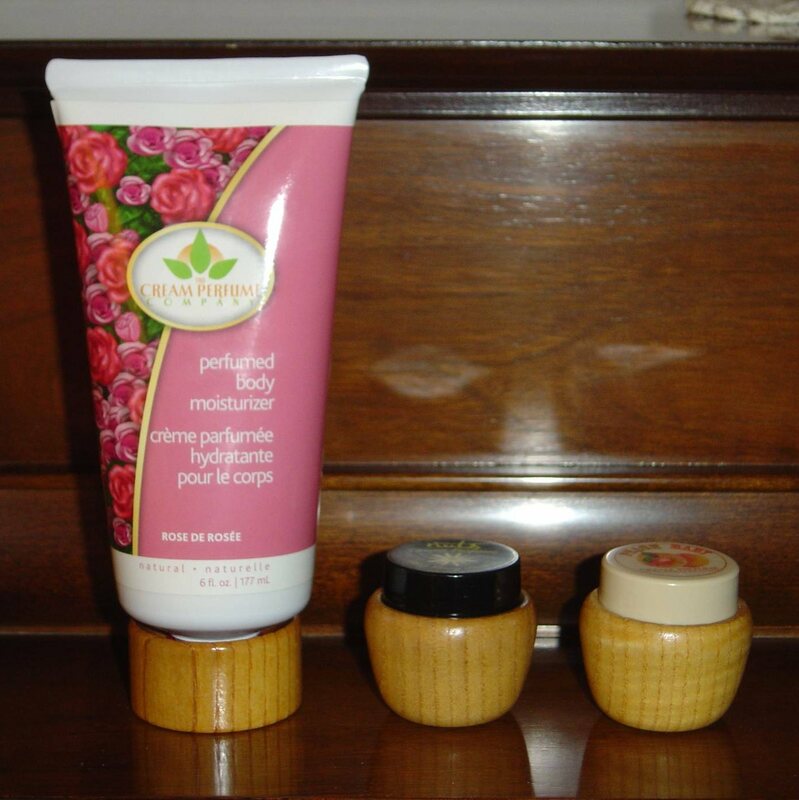 The first product I tested was their Rose De Rose Perfumed Body Moisturizer in the generous six-ounce size. What impressed me first was the safety seal to prevent contamination. The moment I opened the cap the rose essence lifted my spirit while this luxurious anti-aging and hydrating moisturizer delicately scented my skin. Trust me, I put this product on at 6:30 P.M. and woke the next morning still smelling like of rose. Next I tried their Ylang Ylang d’amore and Peach Baby solid perfumes. Each comes in cute eco-friendly wood containers resembling a nut, which when you finish up with is the perfect size for storing a delicate chain in your jewelry box! The scents themselves were a joy to wear, almost like aromatherapy with staying power. Ylang Ylang d’amore made me feel sexier compared to the fruitier innocent Peach Baby. Besides a line to suit every woman’s taste with 11 solid perfumes and three perfumed body moisturizers with one smaller size moisturizer for $7.00, The Cream Perfume Company is a real bargain from $12.00-$14.00 each. If you value quality safe fragrance, then I think The Cream Perfume Company should definitely be on your radar. I wou;d choose A girl's best friend perfume if I won. I would pick the Tango Time cream perfume.I follow you on GFC. I'd like to try ORGANIC Raspberry des champs solid perfume. ORGANIC Rose de rosée please 🙂 Sounds positively enchanting. Thanks so much. I follow on GFC, I'd love to try the Coconut Vanilla lotion!